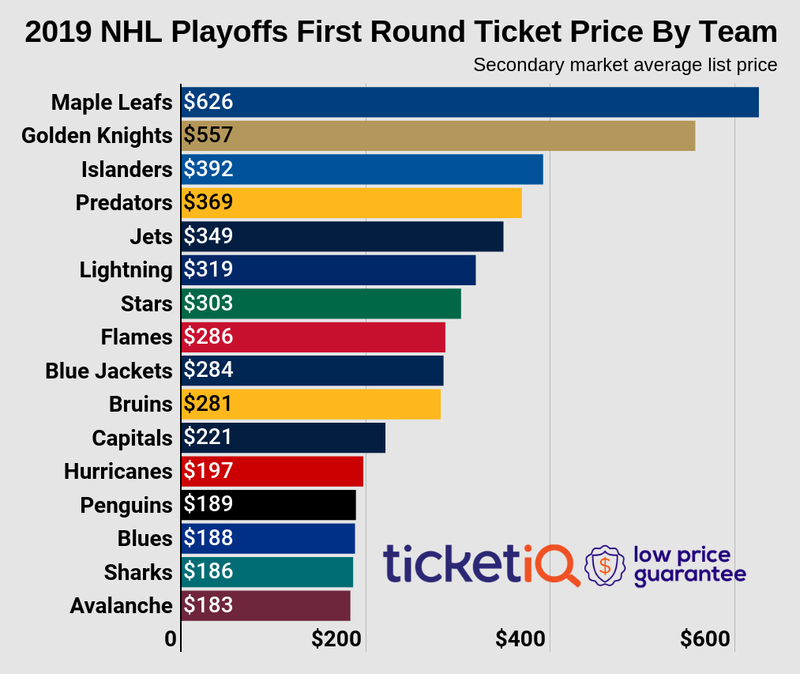 The top NHL tickets this week on the secondary market have dropped in average price significantly compared to last week’s games, but there are still some interesting games to look forward to this week. Here are the top five NHL tickets of the week on the secondary market according to TicketIQ. The race for the top spot in the Eastern Conference is getting tighter than the Montreal Canadiens would like. Currently with only a one point lead in the East, they host the Toronto Maple Leafs this Saturday at the Bell Centre. Canadiens tickets this week are the top priced on the secondary market, going for a current average price of $304.26, with a get-in price of $106. The Chicago Blackhawks are featured in two matchups this week, including an interesting showdown with the Tampa Bay Lighting this Friday at the Amalie Arena. Blackhawks vs Lightning tickets for Friday’s game have a current average price of $301.84 on the secondary market, with a get in price of $93. Another East vs West matchup takes place this weekend between the Boston Bruins and the Arizona Coyotes at the TD Garden this Saturday. Both teams have been struggling with Arizona losing their past six games and Boston with only three wins in their past ten games. Bruins tickets for Saturday’s game are going for a secondary average price of $212.51, with a get-in price of $83. The second game the Chicago Blackhawks are featured is a matchup with the Florida Panthers who are fighting for 8th and final playoff spot in the Eastern Conference. This meeting will take place at the United Center Tuesday night as Blackhawks tickets on the secondary market have an average price of $197.39, with a get-in price of $74. On March 1, an interesting Western Conference matchup takes place at the Rogers Arena between the Vancouver Canucks and St. Louis Blues as both teams look to climb in the standings. Canucks tickets against the Blues this Sunday have a current secondary average price of $193.84, with a get-in price of $44.